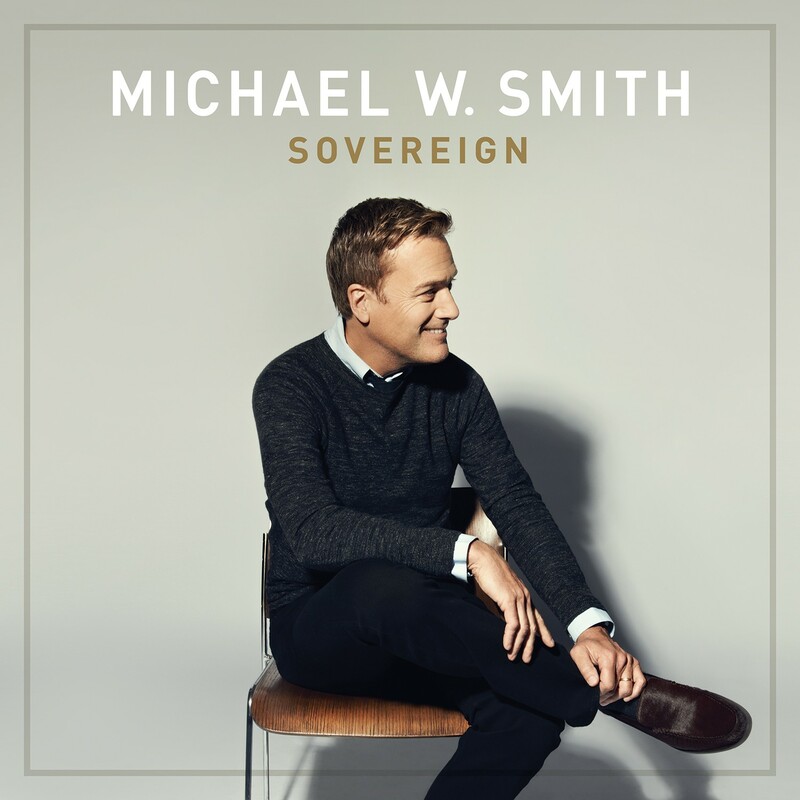 One of Christian music's most enduring and well-loved artists, Michael W. Smith, is releasing his new worship album 'Sovereign'. Read More One of Christian music's most enduring and well-loved artists, Michael W. Smith, is releasing his new worship album 'Sovereign'. From the start this album feels like a fresh new phase of Michael's life. A sturdy start is the best way to describe opening track 'You Won't Let Go'. The song soon seems to blast into life with the volume and velocity of the chorus being exceptional. This song has a great message running through it, about God always being with us. Michael sings with such feeling, "You are the anchor of my soul, you won't let go, you won't let go". Michael has really tried to capture something of the modern worship sound on this album. He mixes together great lyrics and catchy melodies with some wonderful dance synths and drum beats. Just listen to the track 'Heaven Come Down' and you can really appreciate that Michael W Smith likes to move forward musically and keep up with the times, this is no easy task, but Michael does it with ease. The track 'Miracle' is an out and out guitar driven anthem. The roaring guitars and gutsy drums make this a rock song worth getting your teeth into. I actually thought the vocals on this song sound the least like your traditional Michael vocal, proving again this man likes to try different styles and sounds, and succeeds at it. The high tempo start continues with 'Sky Spills Over'. At first I thought this was a bit of a country inspired tune. I was wrong. The song blasts from a big country intro into a country dance anthem. Think Mumford and Bastille who have been out together with David Guetta and Pharell. It works, I didn't expect it to, but it does. 'All Arise' moves the album back to what I would call 'Classic Smith'. Put the man in front of the piano and press record and this is the kind of song you will get. "All arise at the name of our saviour, who is worthy, who is worthy" Michael sings out. There is a great mix of styles of songs on this album. There are uptempo tracks like 'You Are the Fire', then there are songs that build into times of praise, like the tracks 'Christ Be All Around Me' and 'The Same Power'. But for me it's the tracks like 'The One That Really Matters' and 'I lay Me Down' where we fall back into classic Michael W Smith. I really like how the album mixes together many different musical styles and songwriting techniques. There are so many tracks on this album that I will want to listen to again and again. With such a back catalogue it would be hard for me to say if this is Michael's best work to date, that is all down to the listener's opinion. But what this album does well is put together a stunning collection of beautiful songs that grasps the love Michael has for his Saviour. That isn't easy for any songwritter to do, and after so many years of writing it must get harder, but Michael does it, sounding as fresh as he ever has.